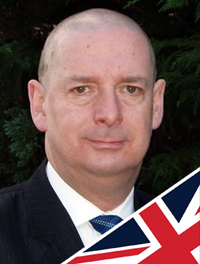 The ranks of Britain First have been strengthened with the addition of Cllr Kevin Edwards as Coordinator for Wales. Mr Edwards is a community councillor and patriotic activist of many years. 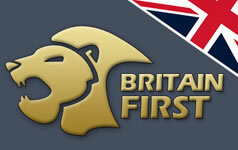 Mr Edwards has volunteered to establish a Britain First organisation covering Wales. A meeting of patriots in Wales will be organised very soon. “I am delighted to be joining Britain First and am pleased to now declare myself as a Britain First Councillor. I am certain that many more will follow in due course,” said Mr Edwards. If you are interested in joining Britain First please CLICK HERE to visit our secure membership page. More updates and announcements in due course. Onwards and upwards! Hi Kevin I see you standing behind the English flag why not come and put some hwyl in Wales my friend. Welsh themed leaflets are on their way to me. There is plenty of "Hwyl" in me as you know. Ok Kevin you clever sod. We are after after much ‘gnashing of teeth’ joining you. Goodbye BNP and RIP The Nick Griffin Party.